Gangnam is hectic, overwhelming and buzzing with neon signs and young people on the go. It's also flooded with street food stands and restaurants. I will be staying at a friend's home in Gangnam during my visit at the end of this month. So, I figured I might as well do some homework and see what I can find in terms of good eats. Tips: if you prefer to take the taxi: tell the driver the name of the station and Yuck = Station. For example: Gangnam Yuck. Also, if the station is spelled with a letter "A", try to pronounce it like "Autumn". Most likely it has the sound of "Autumn" instead of "Apple". Always make sure to have a copy of the subway map written in Korean. If the taxi driver does not understand you, just show him the map. Doe-san Gong-wan (pronounced like magic WANd but no "d") saw-gull-ri ( intersection), Star bucks Cup-pee, Non-hyeon dong. Korean BBQ and all the side dishes come with the meal. 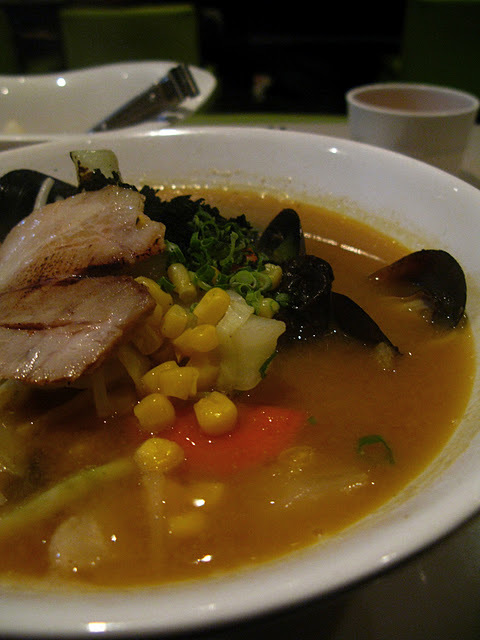 Their specialty is Kar-gook-sue noodles with house made chicken broth. It's to die for. Yes, it's that good. 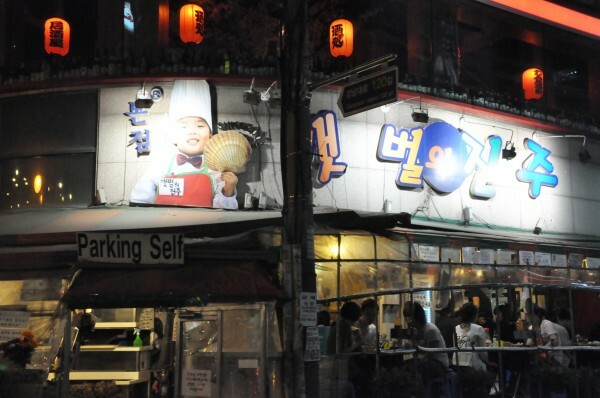 They make the best Kar-gook-sue in all of Seoul. It's listed on the above map labeled #6. Highly recommended!! 1. Sinnonhyeon Station exit 6: After passing skyscraper Kyobo Building, count to 2nd street and turn right. After passing the 2nd street, starting looking for it. Gangnam (pronounce both "A" like "Autumn"). 2.Gangnam Station exit 6: count to 3rd street and turn left. Look at the map above #6. Subway direction: Gangnam Station exit 1. Walk ahead til you see City Bank. At the 3rd street, turn right. Start looking for the sign. 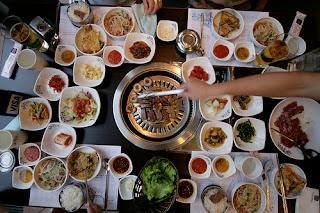 In a traditional Korean home atmosphere, they serve folksy entrees and side dishes with different price points. It's labeled as #14 on above map. A set course starting at 17,000 won and up to 30,000 won. Subway direction: Sinnonhyeon Station exit 1. Walk straight ahead til you run into a major big intersection. It is on your right side. Look for the sign. Look at #8 above map. 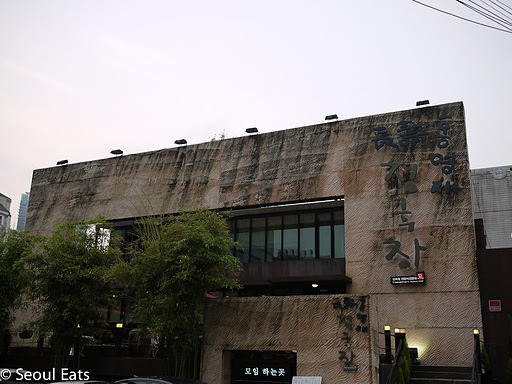 A famous restaurant serving spicy grilled eels. 1 kilogram ( 3 eels)serve about 2-3 people. They serve farm raised eels. It's listed as #15 on above map. 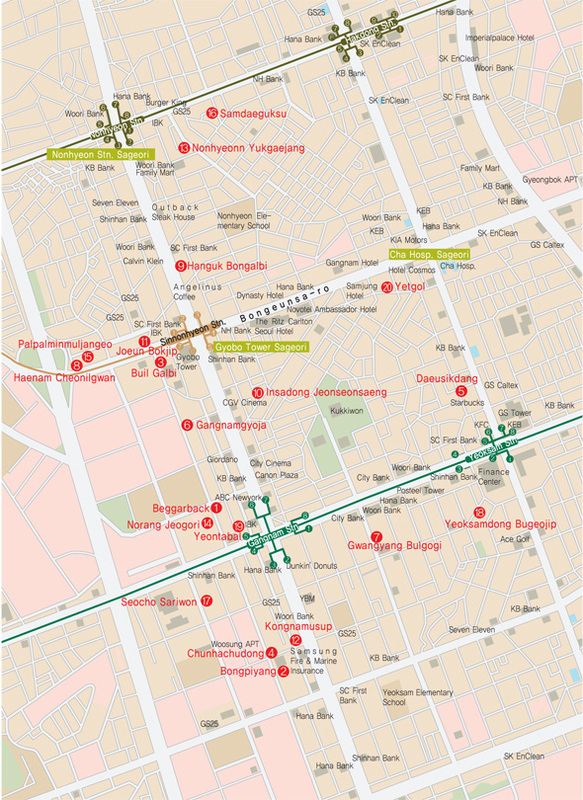 Subway direction: Sinnonhyeon Station exit 1. Look at above map #15. 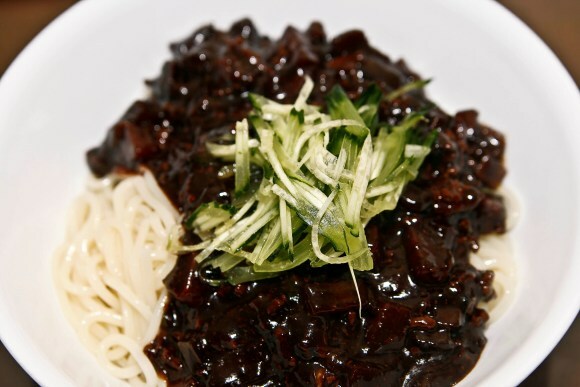 Unknown: A famous restaurant serving jja-jang-myun made with fresh home-made noodles and black bean sauce. The walls are adorned with celebrity autographs. This dish is typically served at Korean version of Chinese restaurants. Subway direction: Sinnonhyeon Station exit 4. Walk strraight ahead til you see Ritz Carlton Hotel. Across the main street. Turn left. A very small building on your right side. You might see the owner gentleman making fresh noodles front of the window. The restaurant is located across from Ritz Carlton. If you are uncertain, go into the hotel and ask for the direction. They provide English service. Fresh sashimi at an authentic setting. Dining here can be expensive. But hey, you are paying for the ambiance and freshest fish it has to offer. Subway direction: Gangnam station exit 8. At the 1st street, turn left. Count to 3rd street on your left side and start looking for the restaurant on your left. Grilled clams. It's very popular during lunch and dinner hours. There is second location on the same street about 100 meters apart. Sinnonhyeon Station exit 3. Pass Angelinus Coffee. Turn right at 2nd street. Turn left at 1st street. Start looking for the restaurant. 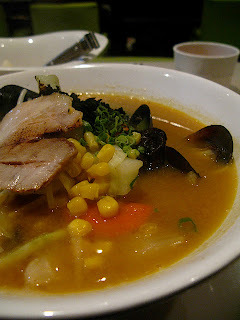 They serve Japanese style ramen noodle soup. 1. Gangnam Station exit 6. Walk all the way down to Sinnonhyeon Station. On your left, there is a sky scrapper building, Kyobo Building. It located behind this building. 2. Sinnonhyeon Station exit 6 or 7. Behind Kyobo Building. 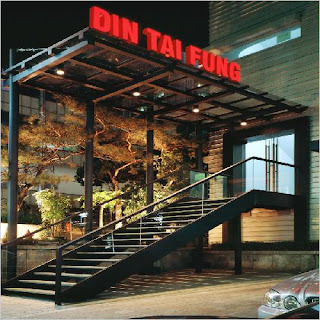 One of the more affordable Chinese import dim sum restaurants in Seoul. Subway direction: Gangnam Station exit 5. Walk for 2 blocks and turn right. Pass Marche Restaurant. Din Tai Fung will be on your left side. Dumplings and dumpling hot pots. I am confused. So many people say there is "street food" in Gangnam, but I did not find any. There were many restaurants clustered together on the side streets, but no "Street" food. When I read "street food," I think carts with food/snacks that you eat standing on the street, like in Myeong Dong at night. But other than lots of restaurants, I found zero street food. So, could someone please clarify this point. It's very confusing for a foreigner who doesn't speak the language to maneuver the streets of Gangnam since foreigners are used to locating places based on addresses. That is not easy to do in Gangnam/Seoul if you don't read Korean. Thank you. There used to be a lot of street food, but they're restricted from operating in certain areas now.